This week, we’re looking at how to communicate UX research in a way to add real value to your projects and to help ensure that people act on your research rather than ignore it. As always, each part of this series may be found under the UX Daily tab on this site. Today, we’re going to look at a very simple method for mass communication of ideas – posters. This method always appeals to the natural graphic designer and leaves the rest of us feeling somewhat out of our depth. I have no natural graphic design skills, in fact I think I may have been born with that part of my brain missing. I once rented a house where the bathroom suite included a pink bath, a blue toilet and a brown sink – I didn’t notice when I looked round or indeed before I signed the contract and probably would never have noticed until my girlfriend burst into tears when she saw it (I probably should have paid more attention to the lime green vinyl wallpaper too…). That doesn’t mean that you can’t make an effective poster, thankfully. Though, I prefer to cheat and visit a friend with some graphic design talents and ask (or beg) for their help. The trick with posters is to try and convey simple messages rather than complex ones. One of the most popular pieces of research to communicate via posters will be the output of your user persona research. There’s no need to touch on the methods used, data sourced, etc. all you really need to do is get a picture that looks something like that idea user and then put the key data points around it. That’s something you can even do in word – if you really have zero design skills. You can reach a wide audience much more easily with posters than nearly every other form of communication – including e-mail. People don’t read all the e-mails they get but there’s something about a poster that nearly always draws the eye. It stimulates conversation about UX beyond the project team. This is always a good thing because there are often great ideas hiding out in the general population of a business that never make it to the UX team. It stimulates questions about UX. This is even better because it gives you a chance to evangelize for UX without coming across as preachy or interrupting people’s days. It stimulates debate about UX. 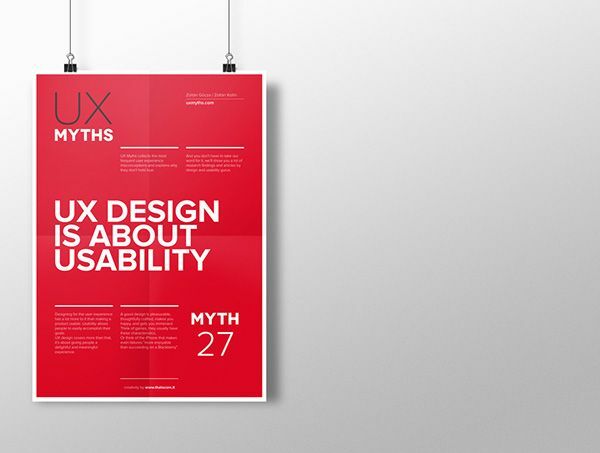 Stereotypes, such as UX personas, should withstand some challenging and if they don’t…. it probably means they aren’t quite as good as they should be. The chance to improve your UX work should never be passed up. It keeps people focused on UX. A poster is a constant reminder of the importance of your work. But don’t forget to move them around a bit – they can get dull without a little refreshing every now and again.